The new Sony Cyber-shot HX100V is the new company flagship equipped with Vario-Sonnar lens by Carl Zeiss with 30x optical zoom and Active Mode optical stabilisation. The lens also comes with T* coating and Sony claims that this virtually eliminates flare. 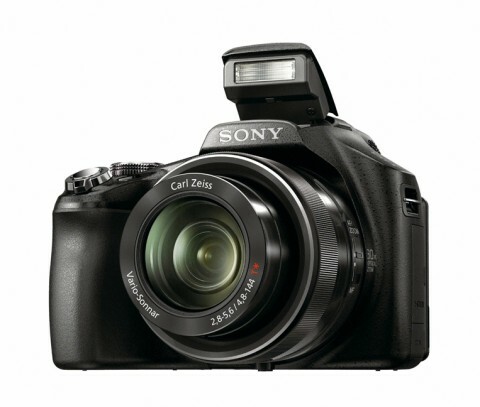 The camera is build to resemble by body shape and controls with the professional DSLR design but in a much lighter form.